Mix all the ingredients in a bowl ( clean bowl and dry ). 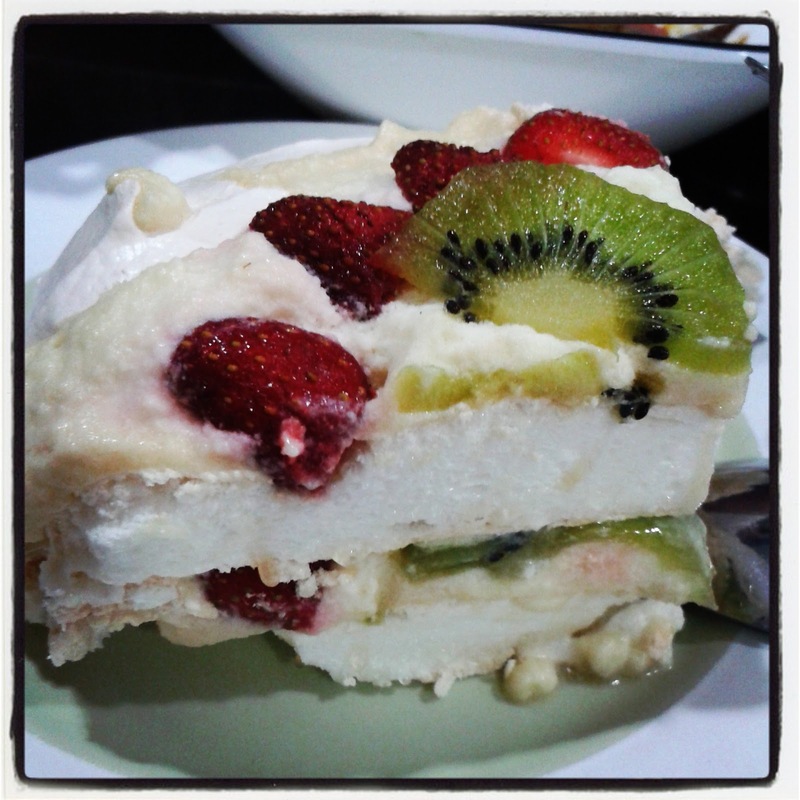 I always enjoy strawberries and kiwi.. 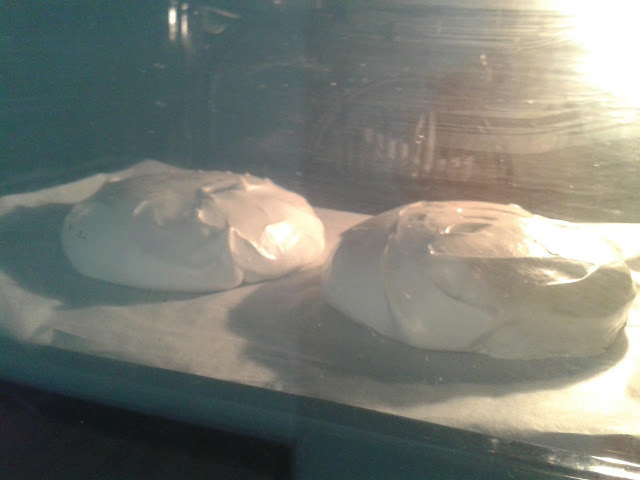 This is my 3rd attempt on pavlova... 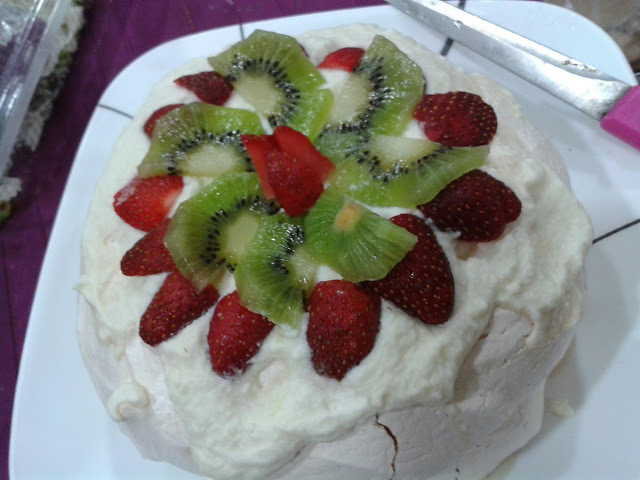 I failed for my 1st attempt and too sweet for the 2nd attempt and a wrong choice of selecting fruits. ..